If your outdoor space is your favourite place to eat, entertain or relax, transforming your balcony or deck can definitely improve your quality of life and bring you closer than ever to your dream home. 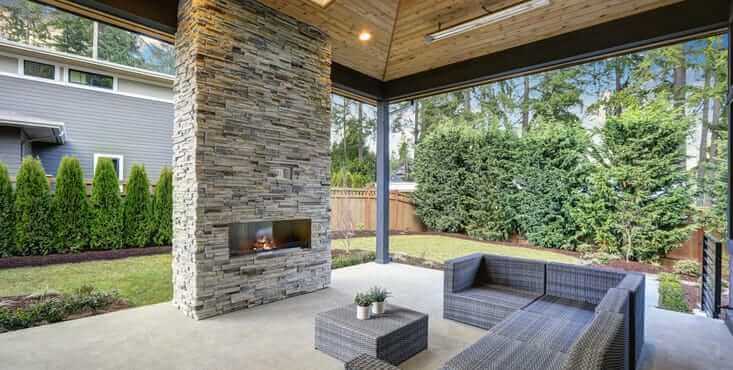 Of course, by rejuvenating the look and feel of your outdoor space, you will make your home more attractive which will, in turn, increase its value. But the renovations will bring you much more. 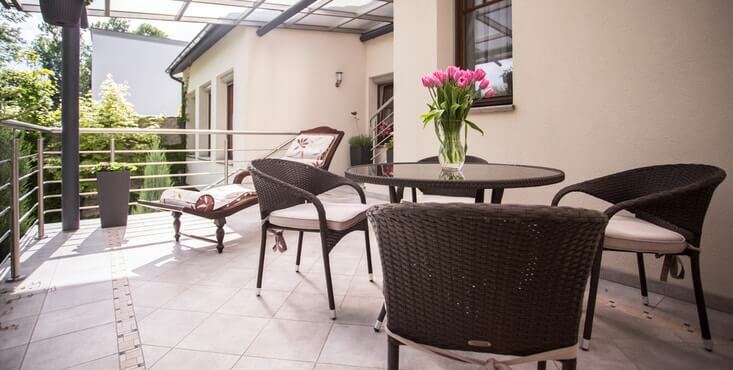 If your balcony or terrace is aging, a simple or extreme transformation will add the style and charm needed to convert this space into a beautiful oasis. 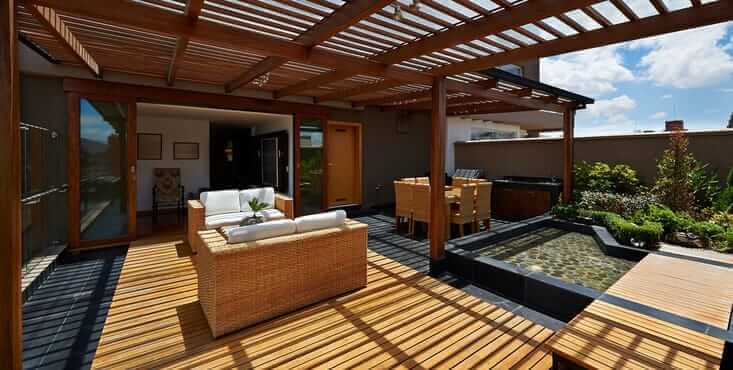 It's also a great space to entertain friends, enjoy a lunch break or simply for a well-deserved sunbath. What types of decks and balconies do we find on the market? A very affordable material that comes in several shades and colours. This material requires little maintenance and adapts to several styles of home. Treated wood remains one of the cheaper solutions for a deck or balcony project. However, it requires more rigorous maintenance and is less resistant to the weather when compared to the western red cedar and ipe wood. However, it remains a good solution if it is well-maintained. Aluminum offers several advantages when used for the design of a deck or balcony. Resistant to corrosion and moisture, it won't swell or shrink over time. It does not require any special maintenance. In addition, it is very resistant to the test of time and doesn't change colour over the years. Western red cedar is a wood of very high quality which absorbs less moisture than treated wood and thus has the effect of reducing its risks of cracking over time. It is also possible to perform an annual treatment to avoid the discolouration of this wood unless it's the desired colour you're looking for in the end. Ipe wood is renowned for its hardness, strength and durability. We are talking about a lifespan of between 40 and 50 years. For a high-quality wooden deck or balcony with a beautiful finish, this is the winning choice. 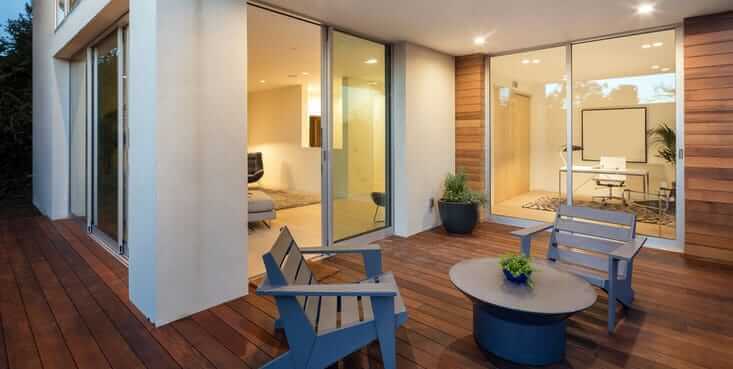 The concrete deck or balcony is primarily known for its durability and longevity. However, it does require more maintenance over time since it's easier for stains to stick to this material. Due to its greater weight than other types of materials, it requires a stronger base than other types of balconies. To achieve a top-of-the-line finish similar to wood, without having to be concerned with applying finishes and/or layers of paint for maintenance, composite balconies represent the perfect solution. They fair very well over time, are resistant to dust and do not discolour. We have collected the prices of some types of balconies to give you a global and average idea of the market, including materials, design, structure, ramps, steps and labour. Treated wood $30 to $40 / sq./ft. Cedar wood $45 to $55 / sq./ft. Ipe wood $50 to $60 / sq./ft. Composite $40 to $70 / sq./ft. Concrete $50 to $70 / sq./ft. Note: This table was created to give you an idea of the potential costs associated with your project. Depending on the quality of the materials, the difficulty of installation and several other points, the market price may go up or down. When you call Reno-Assistance, our advisors will help you make an informed choice. With thousands of projects under their belt, they know how to guide you through the planning stages of your project. Revise your terrace, deck, patio or balcony project with you to determine if you need to renovate or rebuild. Send up to 3 qualified experts from our 360° Verified Contractor network who have the specific skills and experience to perform the job. They will then draw up quotes for your project. Send you architects and technologists if you would like an architectural plan design for your yard project. Evaluate up to three quotes from our 360° Verified Contractors and help you choose the best contractor for you and your project. 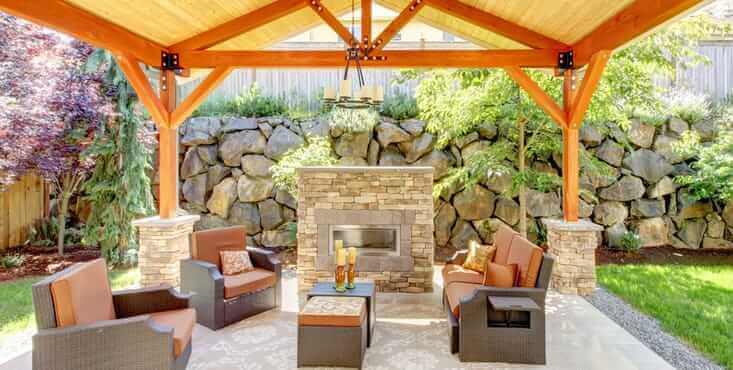 Get tips for renovating your deck, balcony, terrace or patio today. It's free! Get your free, no-obligation quotes now! It's as easy as filling out the form on the right. Yes, it's as simple as that! 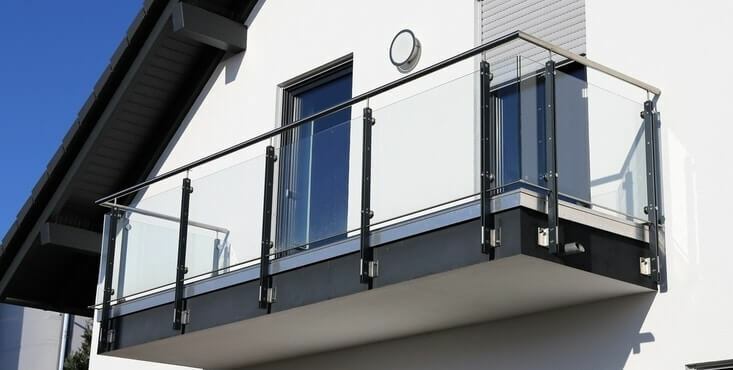 Our advisors, who since 2010 have gained thousands of projects of experience, can help you plan your new balcony, deck or terrace and guide you through all the stages of your project. It's free and you have no obligation to hire the contractors who we have referred, even though we think you will be extremely pleased with our service! So, simply give us a call or fill out the contact form so that a consultant can be assigned to your project and contact you to start your new project on the right foot.